Did you install a new program on your computer to test out, and you either loved or hated it? If you loved it, then chances are high that you will want to use it again. If you hated it, then you might want to uninstall it. But regardless of the verdict on that new program, there is one common characteristic. You need to know the name of the program. It’s very easy to forget the name of an application if it has a forgetful name, or if you have tried a lot of other similar programs with similar names. 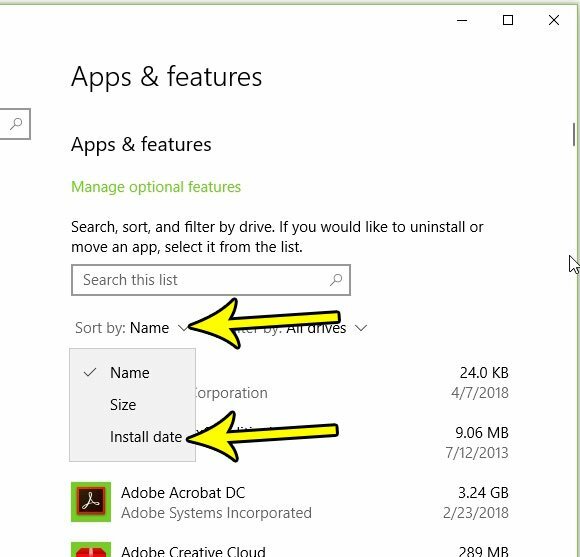 Fortunately you can sort your Windows 10 programs by install date so that the newest programs are shown at the top of the list. 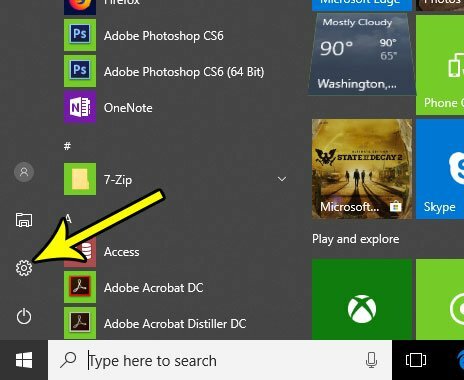 The steps in this article are going to take you to the Apps menu in Windows 10 Settings, where you will be able to sort the list of apps and programs there by the most recently installed. Note that this date does not always reflect the actual original date of installation. In many cases this date will reflect the last time that an update was installed for that program. For example, I, like many others, have a number of programs on my Windows 10 computer that I did not install myself, and were included by default when I installed Windows 10. This can be a little alarming if you have never looked at this information before, so rest assured that it is normal, and the indicated date simply reflects the last time that app was updated. If there is an app in that list that you don’t recognize, or you are concerned about, you can always select it and uninstall it. If you have a question about the program before you decide to uninstall it, I typically just Google the name of the program and see what it is. Step 1: Click the Windows button at the bottom-left of your screen. Step 2: Click the Settings button at the bottom left of this menu. It’s the one that looks like a gear. Step 3: Choose the Apps option on this menu. Step 4: Click the dropdown menu to the right of Sort by, then choose the Install date option. 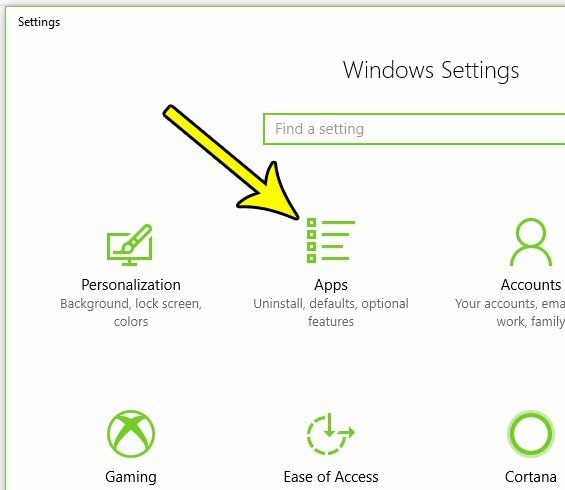 Your list of programs should then reconfigure to display the most recently installed or updated app first. Is the envelope icon at the bottom of your screen bothering you, particularly because you never use it? 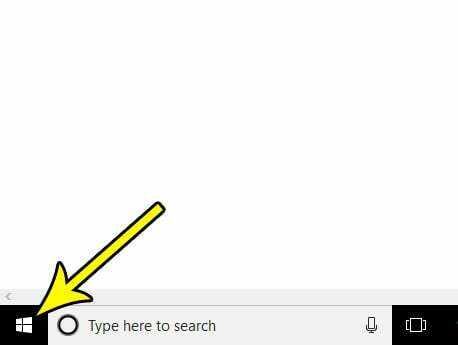 Find out how to remove that mail icon from the taskbar in Windows 10 and reduce the amount of clutter at the bottom of your screen.